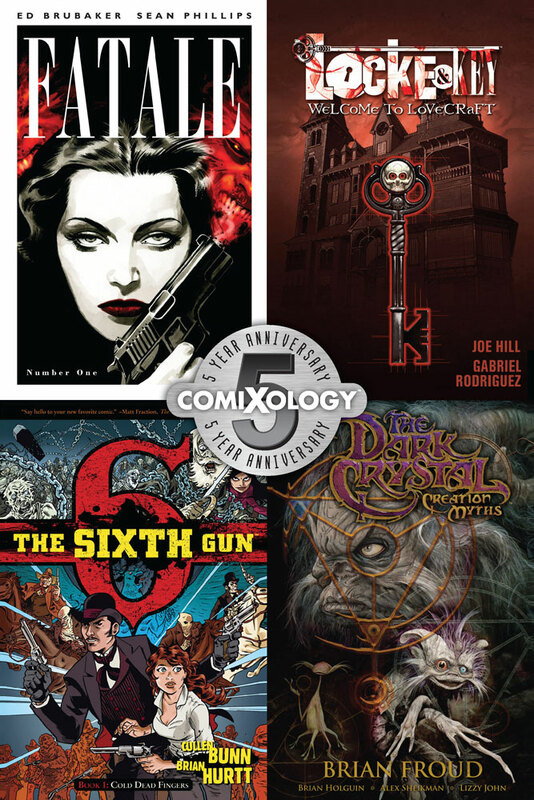 It might seem like digital comics haven't been around that long, but comiXology is changing that perception with their Comic Con 2012 celebration. 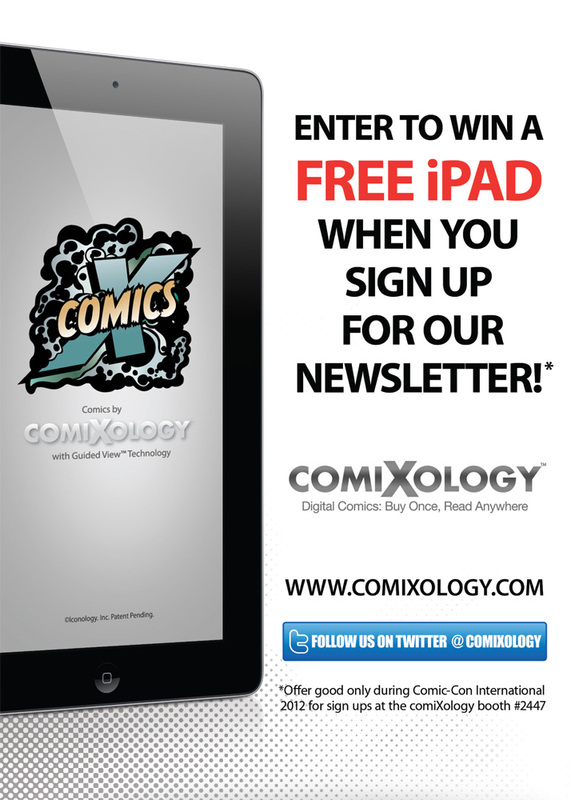 The world's leading digital comic reading software has bunches of giveaways and some excellent panels you're going to want to check out. Oh, and free iPads. Did I mention that? ComXology has a packed schedule for fans this year that should really keep everybody hopping! And that's not all you'll get because comiXology's publishing partners will be giving special postcards away all show long. What's on the cards? Codes for free digital comics! How do you collect them all? First up on Thursday, Image Comics will be giving away the Fatale #1 promo postcard at their booth (#2729). Then on Friday, IDW Publishing will be giving away the Locke & Key Vol. 1 promo postcard at their booth (#2643). Saturday, the promo postcard giveaway continues as Oni Press hands out the Sixth Gun Vol. 1 promo postcard at their booth (#1833). Last but not least, on Sunday, Archaia will be giving away the Dark Crystal: Creation Myths Vol. 1 promo postcard at their booth (#2635). Each postcard is limited to just 1,000 copies and is available only at these publishers’ booths and only on the days listed above. Also on Preview Day, is the comiXology Tweetup. 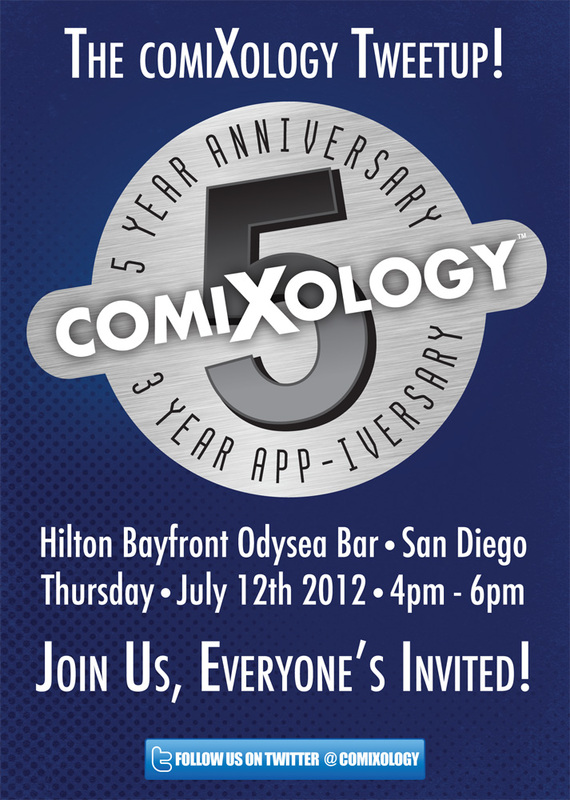 All fans are invited to the event, it'll be held at the Hilton Bayfront Odysea Bar and will feature many of the folks responsible for comiXology itself. You'll get to meet and greet with the likes of co-founders David Steinberger and John D Roberts as well as team members Matt “Slim” Kolowski, Bronson Lingamfelter, Chip Mosher, Kevin Pearl and Elizabeth Yulianto. Make sure you attend if you're looking to win that iPad too, because there'll be another one given away right then and there. The Tweetup runs from 4pm - 6pm.